As Commercial Truck Season rolls along at Atlanta Commercial Trucks, our industry partners incentives help drive the Atlanta businesses that make our city what it is. While the Commercial Truck Month Season comes and goes, these incentives and allowances are offered year-round. The Atlanta-area workers can find the quality work trucks and vans they need with our selection of RAM vehicles. Atlanta Commercial Trucks is an FCA BusinessLink dealer that has the staff and inventory devoted to Atlanta businesses. Atlanta Commercial Trucks works with nine different organizations and partners up with them to save Atlanta-area businesses more! Whether its Atlanta contractors, HVAC specialists, realtors, small businesses or even Georgia’s dairy farmers, Atlanta Commercial Trucks is their source for incentives, savings and service. 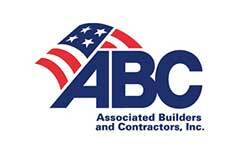 —Associated Builders and Contractors, Inc.
Each of these associations receives $500 off (Dairy Farmers of America members receive $500 cash allowance). In addition, members of these organizations who purchase vehicles from Atlanta Commercial Trucks get $1,000 of On the Job allowance (National Association of Realtors members receive two years of no-extra charge oil changes instead). 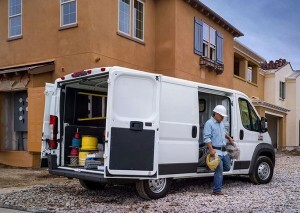 This cash allowance is perfect to go toward upfits for chassis cabs, graphics for ProMaster or ProMaster City work vans or whatever else your business needs! Not a member of these organizations? Don’t worry! Atlanta Commercial Trucks still has the expertise and inventory apt for your Atlanta business. As a BusinessLink dealer, we can sign you up for BusinessLink perks including loaner vehicles, extended service hours and next-bay service. At Atlanta Commercial Trucks powered by Landmark Dodge Chrysler Jeep Ram of Atlanta, we help drive your business with work-ready Ram pickups, Ram chassis cabs, vans and more. Landmark is the only Atlanta area Chrysler Dodge Jeep Ram dealer with a sales division dedicated to our business customers. We are the fastest growing Ram commercial dealer in Georgia and the Southeast! We have one of the largest Ram work truck inventories in the state and carry 2500 and 3500 utility trucks as well as 4500 and 5500 chassis cabs. Call us today at 678-251-2283, contact us or come by today at 6850 Mount Zion Blvd. in Morrow, GA. 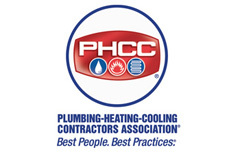 Learn more about our Industry Partners, information and qualifications.